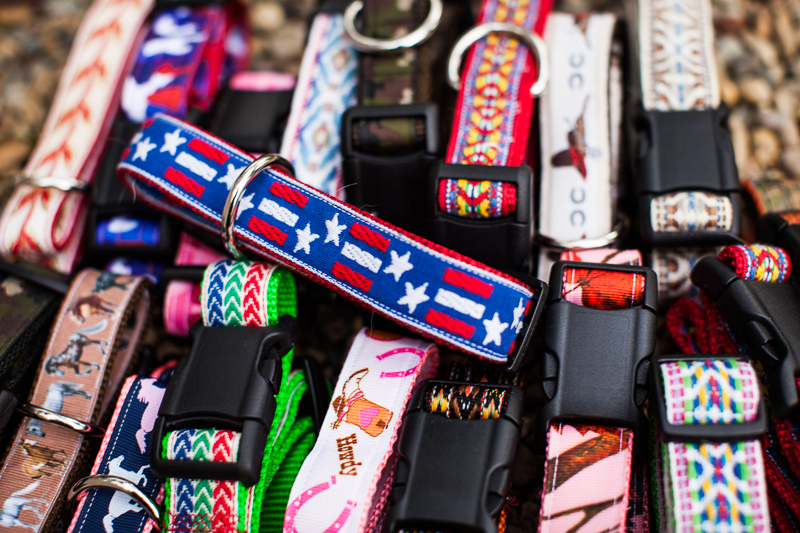 Each one of our collars is made to order. We offer specific sizes but if you do not see something that works for your furry friend please let us know and we can work with you to make something for a perfect fit. The collars are constructed with a nylon webbing base. The webbing is made in the USA and is approximately .071" / 1.80mm thick. It has a tensile strength of 4200 lbs. The D-rings are top quality, nickel plated steel, heavy welded 1 or 5/8 inch. 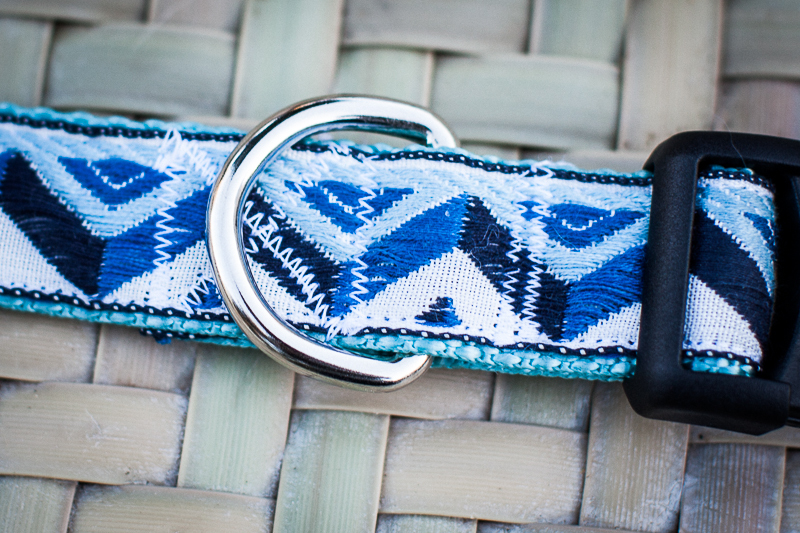 Our collars are made with the strongest contoured side release buckles available. Side release buckles feature an easy, one handed release design that avoids accidental release. The Tri Glides are made of heavy duty plastic for strength and durability, these slides allow you to lengthen or shorten the nylon webbing material to properly fit your pet. The fabric trims on top of the webbing are made of cotton blends, polyester, and rayon blends. If you have a specific question about a trim please feel free to contact us and we can provide you with the exact content.